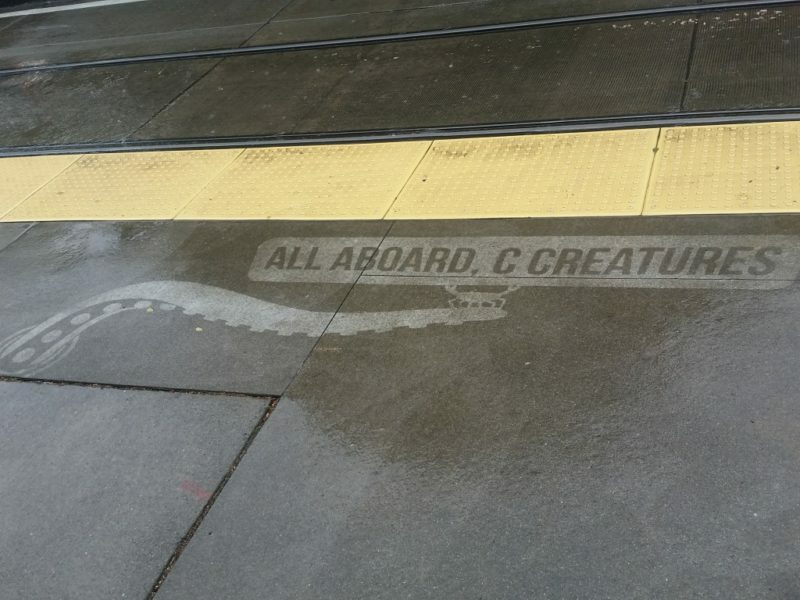 If you’re like me and have been seeing Boston’s rain-activated poetry pop up on your Facebook feed, but have been thinking, “Man, I wish this involved public transportation,” Seattle has the answer for you. 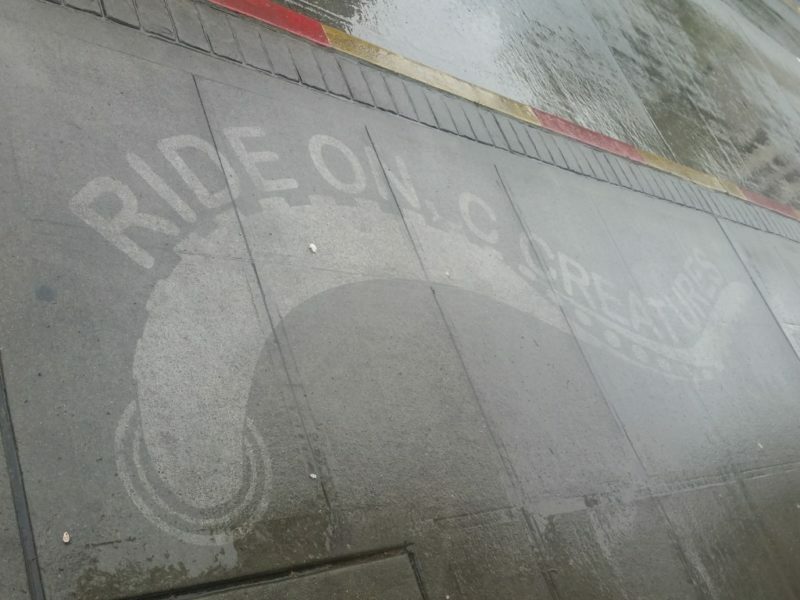 It’s no surprise that Rainworks, the company behind the “Invisible Spray” that appears when pavement is wet, hails from the rainy city of Seattle, but what’s awesome is they actually placed their first sidewalk art at one of the city’s bus stops. Not forgetting their roots, they recently teamed up with the Seattle Department of Transportation to add life (marine life, to be exact) to the city’s new RapidRide C Line. This was our first time working with the City of Seattle in an official capacity, after making rainworks ‘guerilla style’ at bus stops for years, and it was a real treat for us. We hope that the local commuters will see these rainworks and smile, and feel pride for their awesome public transit system! Outside of adding sea creatures, the line expanded service to South Lake Union via Westlake Ave, increased trip frequency and decreased route-time, adding dedicated transit lanes on Westlake Ave N. If you’re in the Seattle area, check out the new additions for yourself at stops in West Seattle, Belltown, and South Lake Union.